← Summer Reading starts now! First and foremost, thanks to everyone who serves and has served in our military. We cannot not do what we do unless we are first safe, and you are the ones who have kept us safe. 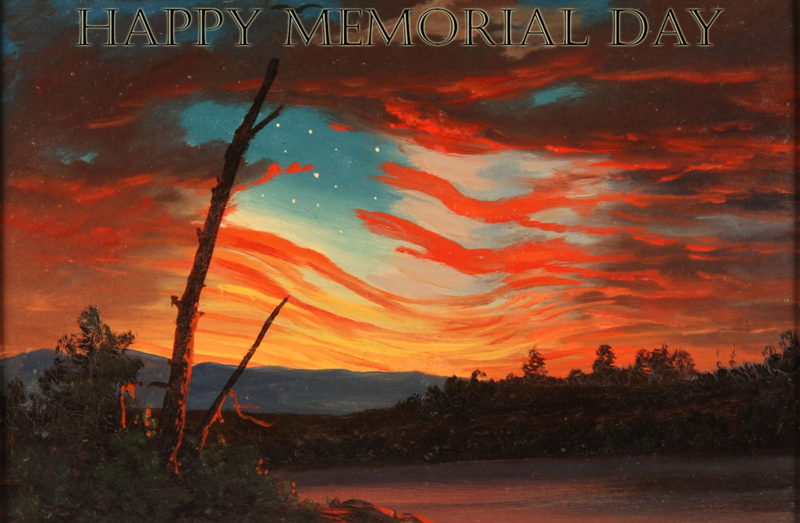 Secondly, all of Mentor Library’s branches will be closed this Memorial Day. But, with our digital services, you still have access to all sorts of movies, ebooks, audiobooks and music even when the library’s buildings are closed. Several of those ebooks, audiobooks and more tell the stories of veterans; and, in commemoration of Memorial Day, we’d like to recommend some of those stories. From 1999 to 2009, U.S. Navy SEAL Chris Kyle recorded the most career sniper kills in United States military history. Iraqi insurgents feared Kyle so much they placed a bounty on his head. Kyle earned legendary status among his fellow SEALs, Marines, and U.S. Army soldiers, whom he protected with deadly accuracy from rooftops and stealth positions. Gripping and unforgettable, Kyle’s masterful account of his extraordinary battlefield experiences ranks as one of the great war memoirs of all time. When Navy SEAL Adam Brown woke up on March 17, 2010, he didn’t know he would die that night in the Hindu Kush Mountains of Afghanistan—but he was ready. In a letter to his children, not meant to be seen unless the worst happened, “I’m not afraid of anything that might happen to me on this Earth, because I know no matter what, nothing can take my spirit from me.” But long before Adam Brown became a member of the elite SEAL Team Six—the counter terrorism unit that took down Osama bin Laden—he was a fun-loving country boy from Arkansas whose greatest goal had been to wear his high school’s football jersey. Four professional comedians (Zach Galifianakis, Bob Saget, B.J. Novak and Lewis Black), work with five wounded veterans (Stephen Rice, Darisse Smith, Rob Jones, Bobby Henline and Joe Kashnow) to hone their stand-up acts. This documentary shows healing power of humor. From PBS: War, deception and art come together in this astonishing true story of American G.I.s who tricked the enemy with rubber tanks, sound effects and carefully crafted illusions during World War II. This remarkable tale of a top-secret mission that was at once absurd, deadly and amazingly effective is told through the stories of the veterans, many of whom—like Bill Blass and Ellsworth Kelly—would go on to have illustrious careers in art, design and fashion. Five D-Day veterans return to Normandy and revisit the locations they landed on June 6, 1944, sharing their own very personal stories of war. This documentary won Emmy Awards for writing and photography. One thousand miles from anywhere lay a lonely outpost of coral and sea called Midway. It was here in 1942 where the U.S. and Japan fought one of the greatest naval battles of World War II that changed the course of history. And it is here again where Titanic discoverer Dr. Robert Ballard now leads a team of experts and four World War II veterans on the voyage of their lives. They’re on a race against time to do the impossible: find at least one of the five downed aircraft carriers. Join them as they pay their final respects to their fallen comrades. For the first time anywhere, the first-person account of the planning and execution of the Bin Laden raid from a Navy Seal who confronted the terrorist mastermind and witnessed his final moments From the streets of Iraq to the rescue of Captain Richard Phillips in the Indian Ocean, and from the mountaintops of Afghanistan to the third floor of Osama Bin Laden’s compound, operator Mark Owen of the U.S. Naval Special Warfare Development Group—commonly known as SEAL Team Six—has been a part of some of the most memorable special operations in history, as well as countless missions that never made headlines. The astonishing, never-before-told story of the greatest rescue mission of World War II, when the OSS set out to recover more than 500 airmen trapped behind enemy lines… During a bombing campaign, hundreds of American airmen were shot down in Nazi-occupied Yugoslavia. Local Serbian villagers risked their own lives to give refuge to the soldiers, and for months the airmen lived in hiding, waiting for rescue. In 1944, Operation Halyard was born. The risks were incredible. The Forgotten 500 is the breathtaking, behind-the-scenes look at the greatest escape of World War II. Ken Burns’ seven-part documentary series directed and produced by Ken Burns and Lynn Novick, explores the history and horror of the Second World War from an American perspective by following the fortunes of so-called ordinary men and women who become caught up in one of the greatest cataclysms in human history. Six years in the making, this epic 14-hour film focuses on the stories of citizens from four geographically distributed American towns—Waterbury, Connecticut; Mobile, Alabama; Sacramento, California; and the tiny farming town of Luverne, Minnesota. Join General John Eisenhower as he retraces World War II. From the rise of Hitler to the historic battles and the eventual involvement of U.S. forces, witness the Allies’ road to victory. Then, discover the top commanders who made this victory possible. This 7-part documentary series tells the history of U.S. involvement in Vietnam. Featuring personal stories from veterans and detailing the battles, strategy, and politics of a war that consumed multiple U.S. Presidents. Vietnam: 50 Years Remembered is a chronicle of the tragedy that tested the strength of our country and forever changed the social and political landscape of the world. Searching for Home explores the truth, the healing and the hope of veterans from all generations returning home from war. This emotional film explores the often-perilous journey from battlefront to home front. Through rare, actual battle footage and rare veteran interviews, The War To End All Wars takes you from the assassination of the Austrian Arch Duke in 1914, to the final desperate battles of 1918. Unique and stunning, you will go-over-the-top on the Western Front and witness the carnage in Russia. You’ll take to the skies in the world’s first air war and ride with the legendary Lawrence of Arabia. This is more than a historical or military account of WWI, it is a riveting and personal account of a defining moment in world history. A brilliant, concise and, perhaps, best single volume history of the Second World War at Sea. Written by veteran historian E. B. Potter during his time as resident historian at the United States Naval Academy, this history is filled with action and analysis. As the conflict raged from the Pacific to the North Sea, the author takes the action in each theater for the purposes of clarity but masterfully links the actions and events together to preserve the historical integrity of the work. Here’s a link to all of Mentor Library’s digital services, all of which are available 24 hours a day, seven days a week. Also, if you’re not sure how to use Hoopla, we’ve created an explanatory video. This entry was posted in Uncategorized and tagged American Sniper, Chris Kyle, Civil War, digital services, Get Digital, Hoopla, Memorial Day, Mentor Public Library, No Easy Day, World War I, World War II. Bookmark the permalink.